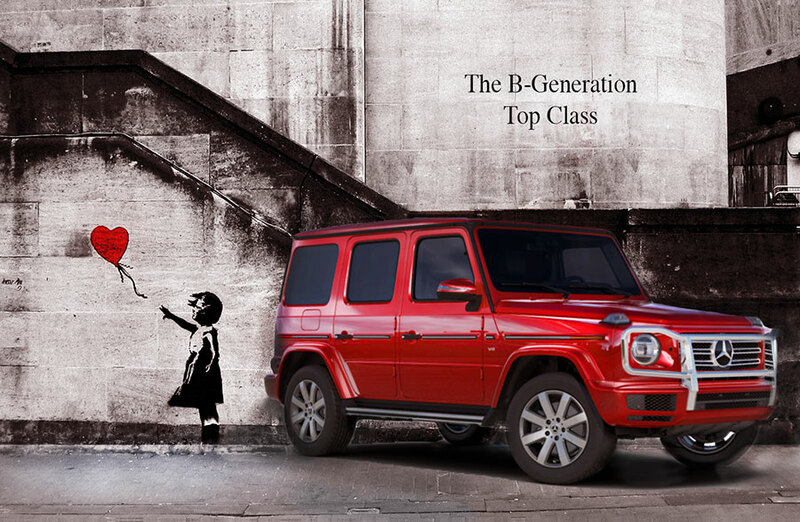 Banksy X Mercedes: Is This a Parody?? This artists’ interpretation of a car ad that features Banksy’s work is a parody, a farce. No one would try to take one of Banksy’s Street Art pieces to help sell their luxury cars, claiming that his work is in public domain and therefore fair game for any use. 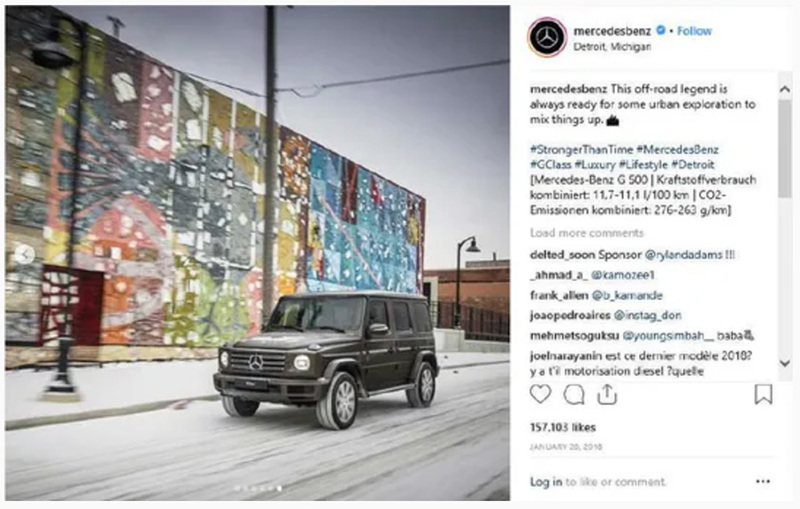 Similarly, if it was a mural on the street by Brooklyn Street Artist KAWS, whose fine art canvas sold at auction this week for $14.7 million dollars at Sothebys Hong Kong, Mercedes wouldn’t simply grab it and run the art behind their newest off-roader on Instagram to infer that “Urban” edginess. 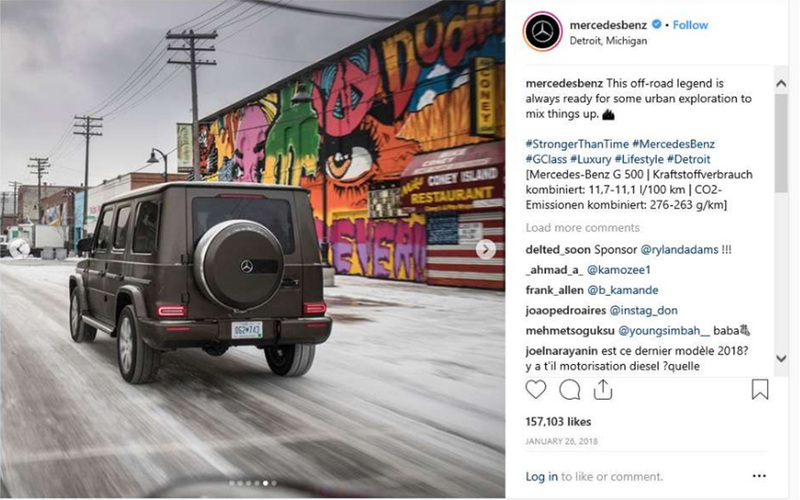 Daniel Bombardier (a.k.a DENIAL) mural in this advertisement on Mercedes Benz Instagram, since deleted. “And now they have filed a lawsuit against me trying to strip away all of my rights. I feel like I am being bullied and intimidated,” says graffiti/street artist artist Daniel Bombardier (a/k.a DENIAL) in a statement regarding the luxury brand that is instead suing him along with three other artists, apparently for having the temerity to demand to be paid, according to an article by James David Dickson in The Detroit News . 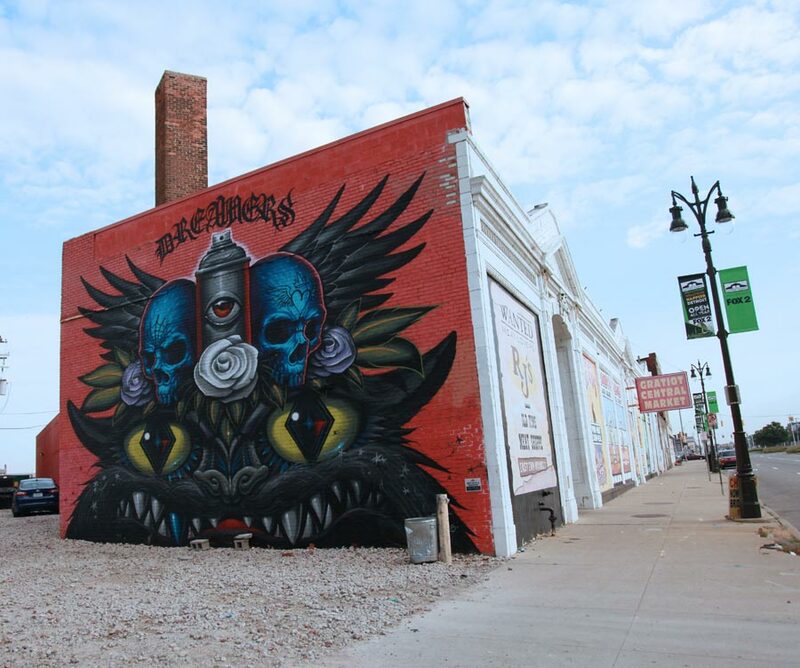 Bombardier’s mural and the artworks of the other artists – James Lewis (a.k.a. Olayami Dabls), Jeff Soto, and Maxx Gramajo appeared in published advertisements for the company’s cars, apparently without permission. 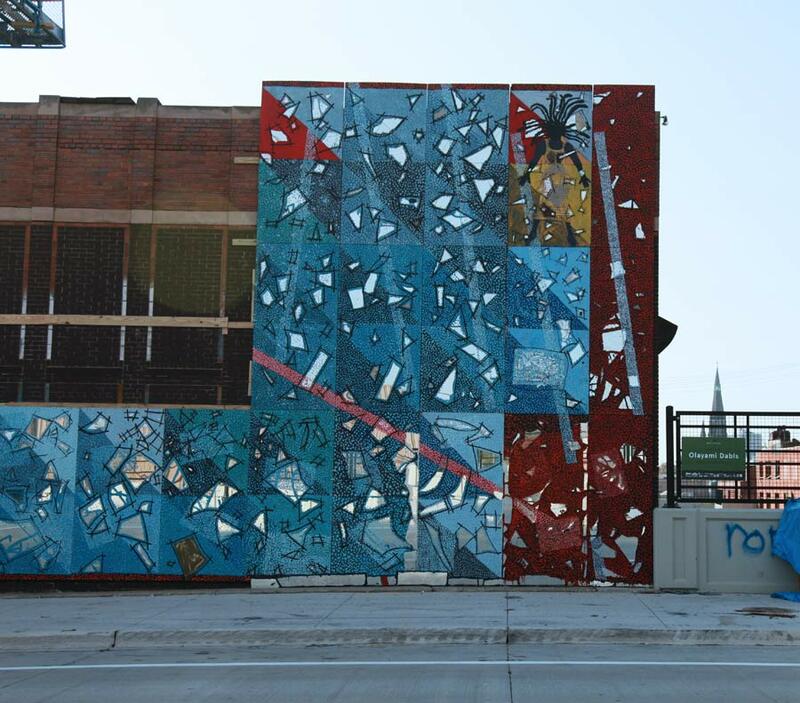 The artists hired a lawyer to contact the carmaker to seek redress, according to news reports, social media postings, and emails that fairly flooded us yesterday. James Lewis’ mural (a.k.a. Olayami Dabls) in this advertisement on Mercedes Benz Instagram, since deleted. This isn’t the first time that big commercial interests have used images of artists work on the street to flog their wares, only the latest. The twist this time appears that the 1% brand is punching downward, and they have filed lawsuits against the artists. This is not going to end well. In the public lawsuits (published here – 1, 2, 3 ) MBUSA demands judgement “Declaring that MBUSA’s photograph and post depicting Defendants’ mural do not infringe upon Defendant’s alleged copyright; and declaring that MBUSA’s photograph and post depicting Defendants’ mural made fair use of the mural.” Usually you hear the term “fair use” used in reference to research, teaching, news reporting, and criticism. 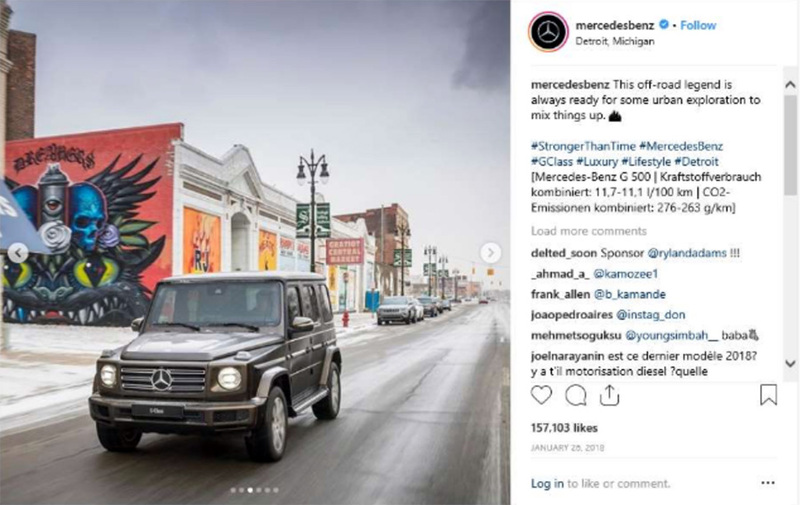 Jeff Soto and Maxx Gramajo’s mural in this advertisement on Mercedes Benz Instagram, since deleted. 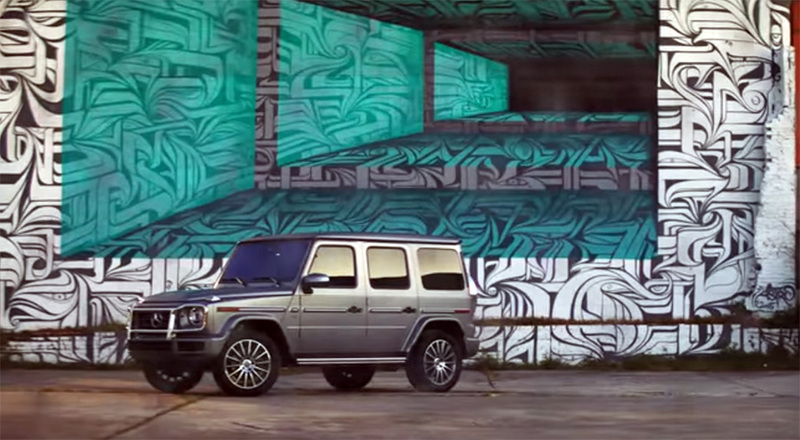 In another twist, it does appear that French Street Artist Astro may have some sort of arrangement with Mercedes, or one might assume it given that his mural appears nearly continuously throughout a four minute video “brochure” for the Mercedes-Benz 2019 G-Class. If that artist was paid for his work, it seems even more confusing that these other four artists are being denied compensation for theirs. What criterion is at play? Clearly we are missing something. Parisian Street Artist Astro has a large part in the a Mercedes Benz video “brochure”, from which this screenshot is taken. Every year or so there is another high-profile case where street artists and graffiti writers have to sue someone for making money on their work, whether it’s a global fast-food chain using it in an ad campaign, a fashion brand adapting it to clothing, or pop star who has featured their work in a music video. It’s can all be a matter of degree of course, and the laws regarding intellectual property and copyright and public art are still somewhat in flux, with brands arguing that they don’t have to pay to use art that is in the public sphere while artists contend that if the “use” is substantially commercial, they need to be paid. 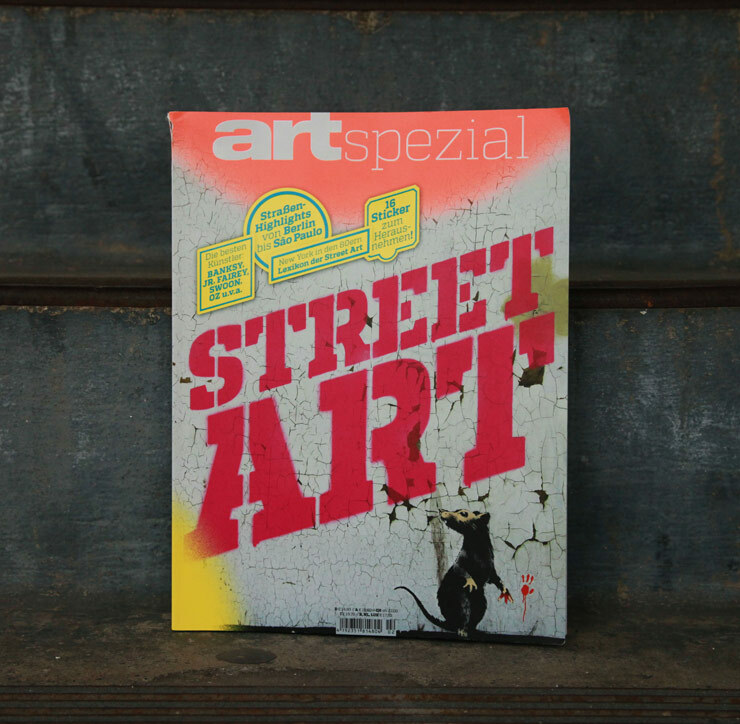 Since many Street Artists also work commercially as fine artists, graphic designers, set designers, painters, illustrators, animators, and videographers in nearly every field and for many of these same exact corporations, they have the expectation of being paid for their work. This appears to make complete sense. Finally, there is the public perception of the brand. If you’re using a public mural to sell your luxury urban “off-road” explorer that reportedly costs 200K, it may be hard for the public to understand why artists can’t also be paid for their work. Maybe because these artists don’t have quite the same name recognition as Banksy or presumably have the financial resources to preserve their rights in court, possibly it appears easier to go off-roading right across their backs with some pugilistic law-suiting. Classy.